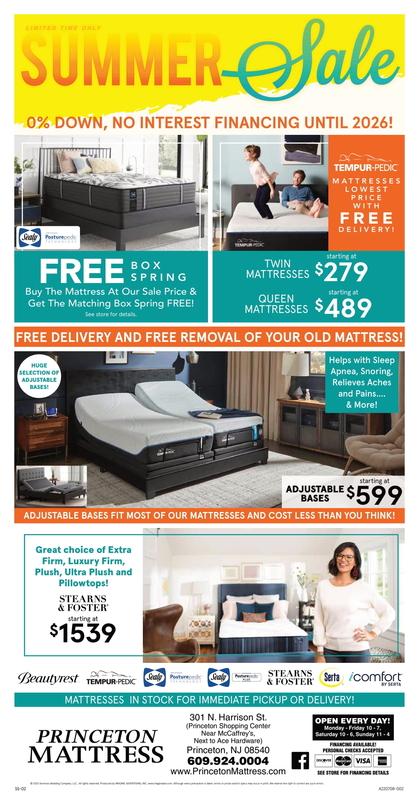 Princeton's only family owned and operated mattress store. 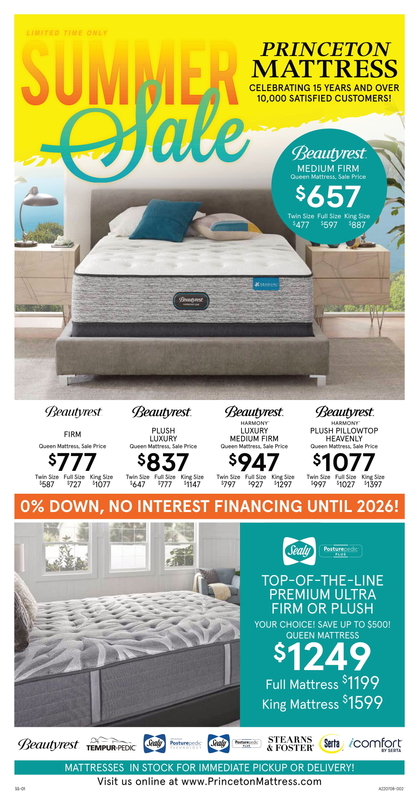 A great selection of premium sleep products including brand name mattresses, memory foam and natural latex mattresses, fine beds, pillows and accessories. Our Sleep Consultants have over 33 years of combined experience in helping you find the mattress that's right for you! Come on in to see Janeen and Jim They are happy to help you. financing, no interest with approved credit.